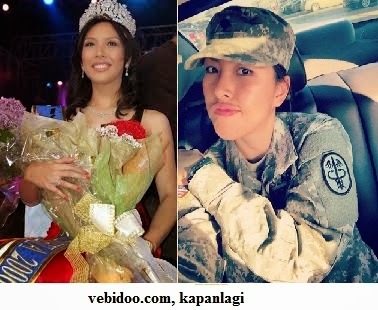 Miss Indonesia Joins the American Army, Hah? Miss Indonesia 2006, Kristania Virginia Besouw joined the American Army. So, she is an American, not Indonesian now. It’s right, that is her right, but how about Indonesia image? Doesn’t Indonesia need a Miss? Miss Indonesia is like an idol created by a national talent selection, alright! Miss Indonesia is not same to usual people. She may have good talent. So, will Indonesian talents migrate to abroad?